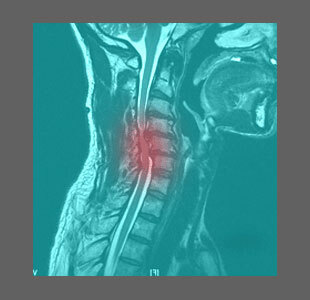 Getting an objective second opinion on a spinal stenosis diagnosis is always advised. This is because some degree of stenosis is normal to experience due to age and activity, and many patients with these typical stenotic patterns can be exploited by opportunistic care providers who stand to make lots of money from unnecessary treatment. We hate to start this essay off on such a bitter and accusatory note, but experience has shown us that many patients are indeed victimized by predatory physicians and chiropractors who use the diagnosis of stenosis as a means of forcing a patient into unneeded care, using the favorite tools in their arsenals: fear, threats and misinformation. There is never any harm is getting a second, third or fourth opinion on any matter of health and wellness. It is your body, your life and your decisions to make. Any caregiver who tries to dissuade you from seeking a second opinion is already showing shades of untrustworthiness. You do not need any unethical doctor making such crucial decisions for you, when it comes to facing potential surgery or other drastic methods of care that might not even be warranted. This report serves as a warning to patients. In this guide, we will explain why second opinions are absolutely needed and advised, especially when the stenosis falls within the realm of what might be considered typical for a person of a certain age or condition to demonstrate. Spinal stenosis is normal to develop as we get older. It is most often found in the middle to lower lumbar levels and the middle to lower cervical levels, but can be located anywhere in the vertebral column. Stenosis itself is not inherently painful or symptomatic. Instead, only when neurological tissues are compressed will symptoms be produced. Furthermore, the spinal canal is usually large enough to accommodate mild to moderate stenosis without any such symptoms being present. Back and neck pain are epidemic conditions. However, research evidence shows that most cases are idiopathic and can not be definitely traced to structural changes in the spinal anatomy, including central or foraminal stenosis. Ok, now that we have those facts cleared up, we can proceed forward in dealing with the topic of second opinions. Doctors come in all levels of quality: personally, professionally and ethically. Some are exemplary in all respects, while others lack one or more qualities that make them excellent caregivers. Doctors can and do make mistakes. Doctors can and do choose to put money over common sense. Doctors can and do neglect proper diagnostic processing in favor of fast treatment. Doctors can and do exploit general ignorance and use their authority to virtually force patients into care that is suspect in its efficacy and necessity. These are all sad truths. Luckily, they are not universal. Some doctors might simply be behind the times when it comes to the latest research and diagnostic guidelines and might therefore rely on outdated parameters for diagnosis. Things have changed much in modern medicine and if your doctor graduated medical school in 1960, they might be playing catch-up at this stage of life. Other doctors know all too well that most mild to moderate stenosis is normal and expected. However, if a patient complains of pain, and stenosis is available to take the blame, then so be it. The physician might embrace a business mentality that supersedes their Hippocratic Oath. They know that they can legally justify treatment, so they recommend it and discourage the quest for any second opinion. Remember, healthcare is a competitive business, now more than ever before. Doctors can also simply make mistakes. They are human. They are inherently prone to error. We see it every day at The Cure Back Pain Network. A patient is diagnosed with pain-generating lumbar stenosis, for example, when the symptoms do not correlate logically and other expressions exist that could not possibly originate from such low level canal impingement issues. The diagnosis stands, regardless, since the patient never thought to seek a more qualified opinion from an enlightened and objective doctor who can observe normal stenosis, yet look past it to find the real problem. We truly dislike the tone of these critical editorial essays. We do not enjoy writing them. However, as long as we recognize that patients are being mishandled, misled and otherwise mistreated, we must continue in our education and advocacy efforts. We surely do not mind stepping on a few toes to do it, since our readers mean so much more to us than goodwill among less-reputable caregivers. If we could simply have a few months go by without a single patient’s letter stating terrible consequences that occurred in their lives due to misdiagnosis, contraindicated treatment and surgical butchery, then we could rest and write some more upbeat topics. 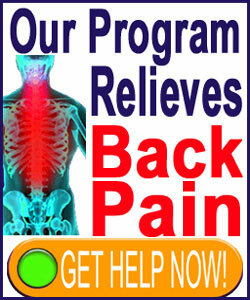 However, this does not seem to be a likely reality in the back and neck pain industry. Therefore, we stand behind our firm recommendation to always seek a second opinion when it comes to spinal stenosis. There is no harm in doing so. If 2, 3 or more doctors are in agreement as to the diagnostic accuracy and therapy recommendations, then you can rest easy, knowing that you are probably on the best path towards successful treatment. However, if some disagreement exists in the diagnosis, prognosis or treatment recommendations, then it is wise to sort it all out before you act, in order to save yourself from potentially catastrophic health consequences, such as failed spinal stenosis surgery, disability or death.